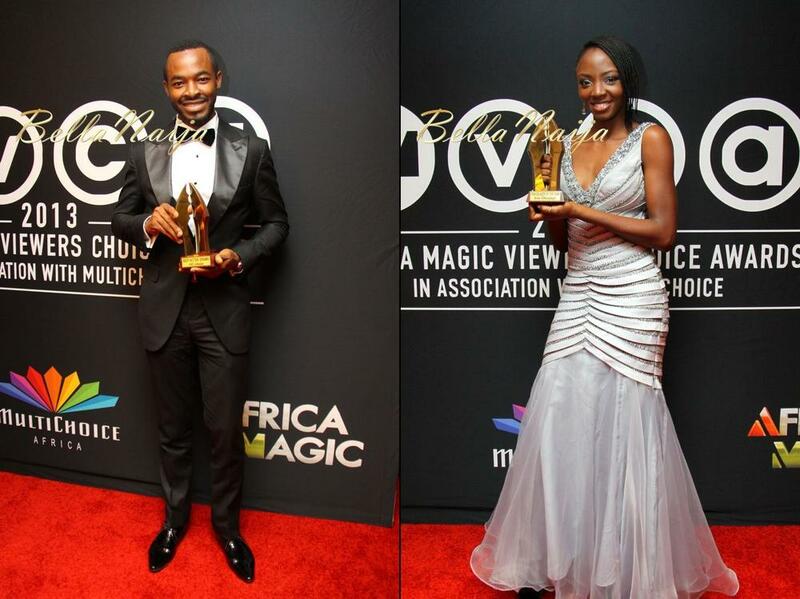 The Winners List from the 2013 Africa Magic Viewers’ Choice Awards. Mirror boy deserves nothing! Stupid,meaningless trash! Politics…..Bye! I am still waiting for Silverbird to refund the 1k i spent on that flick. It was horrible to say the least. So happy for OC Ukeje 🙂 Congratulations! You deserve it and many more to come. One would think that on an African magic viewers night, nollywood would choose it to uplift us…show case contemporary African designers ,clothes and be original. Time was when Nollywood used to display trends in African designs.What happened? Colonial mentality and inferior complex? My people, there is Nothing like originality. We cannot beat people at their own game. Mirror Boy got all those awards? Jackie Appiah best what? Mirror Boy wasn’t so gud but Genny delivered so she deserves it more but then again AMVCA na toy award. @Bey Mercy best actress of what generation? Abeg dat Mercy gal is a horr!ble actress. 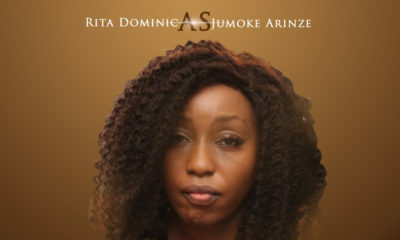 She isn’t gud though she is d Queen of Asaba movies as she totally overacts. I have neva seen her in a reasonable movie b4 sef. I became a huge fan of his after seeing him, Carol King and Kate Henshaw give top performances in Laspapi’s adaption of Ajayi Crowther. Mirror boy is one of the most annoying films I’ve ever seen. It started really well and degenerated into nonsense!!! Jackie Appiah, best actress????????….. In d same category as Genevieve and Funke. Jackie has just 2 facial expressions: a smile and a frown with the narrowing of one eye. Mercy Johnson is ok, though I’d have preferred If Funke won actress in comedy. 2 brides and a baby was also a waste of time for me. Lackluster acting, dragging and slow story. OC was the worst actor in the whole movie, and he won?????? Like seriously!!!!!! How is he supposed to improve on his acting if he wins for such mediocre acting????? After watching 2 Brides and a baby, i almost descended into depression. It was that bad. ….Why did you not vote for your choices?? 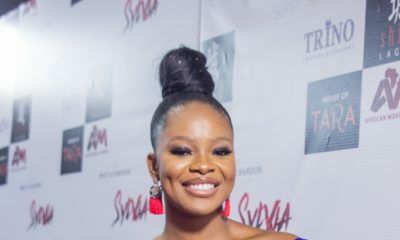 like criosly, im pissed off bout the winners….WTF?….how on earth is jackie more popular than genny or even funke?…total politics!…….and mercy..well…congrats to her but we all knw that jenifa deserved it….as for OC ukeje….hes fine no doubt but the movie he won for was total crap!…….the movie industry cannot grow if we keep encouraging mediocrities!….omotola wasnt nominated but personally i tink she takes very challenging oscar-worthy roles!…..shes very deep and professional…i’d rather she won that best actress award..but its all good…congrats to the winners but there’s more room for improvement. P.S: Mirror boy shudnt be nominated for any award again…at least not in d acting categories..that was a total mess…last flight to abuja was way better. Some of you seem to forget that this Africa viewers choice….not Nollywood choice…..I agree a bit though about mirror boy, but then again it was possibly marketed more outside the shores of Nigeria than other movies…..after all it was acted in Gambia…..
and i have to agree a bit with @Nnenne….if our Nigerian celebs cant wear English outfits well they should please do Native wears, also i would love our celebrities to promote our designers more…. These laughable choice of winners must not detract from the fact that Otelo Burning is a very good flick. Seek it out and watch it. Nigerians are all bunch of annoyn people esp the ones commenting here on bn. I can’t stay in ur room and be typing crab. All of you writing crab here, how many of you people voted for your favourite actor or actress or movie. Then u come here writing rubbish and also note that this is africa viewers choice award and nt nollywood. And the award went round. Then about wearing our own designers, also note that all our naija celebrites wore naija designers nobody was wearing any western name. Do ur reasearch well before u come to bn and type trash. thank u o,,,,pple can yan rubbish on ds blogs sef,,, i tire. Those clothes were made by Nigerian designers!!!! For crying out loud. Not everytime can one wear iro and buba with “madam Kofo” gele b/c they want to dress like Nigerians to African award. Change is good. Pls embrace it and support versatile upcoming young enterprising Nigerian designers who seek to compete on a world stage!!! An Award ceremony of this category and hype should not be based on viewers choices. I can say for sure, many Nigerians didn’t vote. While I’m not for people not voting, the fact is that the “voting” thing really makes no sense as its just to make money. When you truly want to reward good acting etc, you set up a solid reviweing panel constituted by proven industry professionals who will sit with the submissions and rate them properly and professionally – just like the Oscars! However, when you leave it to the ” voting public” to determine who is the best at something, you can never get accurate results! This isn’t a popularity show! I mean how can Maureen Koech win best supporting actress! How? Whoever knows Biola Alabi of MNET should tell her…you don’t organize an award of this magnitude and leave it to the public to decide! Set up a panel of professionals from the African movie industry and even include one or two Hollywood movie makers and get them to rate the acting and the movies! Then you will get accurate results! What’s the point of encouraging half baked acting! We are soooo past this Nigeria! Don’t put us through this torture next year abeg! This is not the Oscars ohhh,It is viewers choice its like the Peoples choice award. the is a next time. It’s a choice award not an Oscar. It’s just like we have kids choice awards and people’s choice awards here in the US. I am not sure why some of you are complaining because Nollywood didn’t choose the winners. The viewers chose them. You guys were supposed to be voting so I am not sure what the bickering is about. 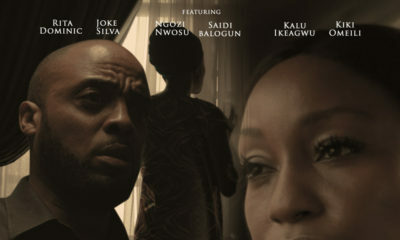 Me personally was so excited for Jacky Appiah because she won best actress,she is not my most favourite actress but the way she delivered her role in the PERFECT PICTURE was so good as compared to Genevieve in the MIRROR BOY, every one has his or her own opinion and my opinion is that the MIRROR BOY is just a very wacky film i really do not see anything that film has if LAST FLIGHT TO ABUJA was nominated for all those categories as The MIRROR BOY i would have said yes it deserved it. Secondly Mercy Johnson won yes cause me personally voted for her all through cause Dumebi the dirty girl is another movie she acted so well,Funke Akindele is a very good actress yes we know but the viewers have voted period. Maureen Koech – Lies that Bind won best supporting actress and yes the viewers have also spoken . OC Ukeje won yes congratulations i really can complain cause it was left for the viewers to vote but to me ,Fabian Lojede should have won for Jacobs Cross,that guy is a better actor than OC Ukeje. And was with those nominated coming to present awards naaaaaaaaa that was not cool to me the are alot of actors and actresses all over Africa be it Nigeria,SouthAfrica,Ghana,Kenya i mean you do not take nominees to present awards thats not cool at all. Again what was Denrele Edun thinking on the red carpet Gosh,that guy almost made me grow mad How can you be talking to someone else when youve not ushered the other person out? Did anyone saw what Denrele did to Fumi Holda? She was still talking to Fumi Holda and not even finish he started introducing Rita Dominic in when he had not ushered Fumi out and Fumi taught Denrele was introducing her because when she walked into Denrele he did not introduce her first Huuuhhh who does that? and he was just so loud Gosh. This goes to Denrele Edun,please ma bro you do not interview two couples like they came seperately on the red carpet okkk,thats what he did to Omotola’s stylist she was all the with the husband and Was snubbed by Denrele you do not do that you interview them both since they came as a pair,Infact Denrele made me so mad on thr red carpet. Please AfricaMagic/Multichoice thanks for the wonderful award but please do not nominate a film again like MIROR BOY for all those categories cause that film naaaa was just rubbish winning best story in a drama????? haba were did go Perfect picture by shirley Frimpong Manso,or Otelo Burning that which is based on a true life story. Hmmm Liz Benson good to see her after a very long time but she was not looking good at all from her hair,to her dress and make-up its like she had no make up on even. Kudos to IK and Vimbai a job well done. All the same ,God bless Africa. I best the “viewers” who are moaning the loudest here never bothered to vote…LOL! Well obviously peeps didnt vote. Secondly genny or no genny, mirror boy is the worst idea and film of all time nd for it to win in so many categories den wahala de. Award or no award, u wont stop us from watching the films we know are good from creative/ striving producers. This is good #CimaBrawn stores Mirror boy having all those nominations for what??? Im really happy for u jackie. Vimbia did a good job,i actually preferred her as a presenter to Ik.she was more fluent. Them both looked great but for me,Vimbai nailed it. Did that lady seriously tell Jim Iyke on stage he didnt come for rehearsals,i heard that as a passing statement,and Jim was just there looking lost,she should have done the presentation herself afterall she only gave him an opportunity to speak once. efya killed it with her singing. Well oh well….kudos to all d winners,though can’t remember when last I watch nollywood. My only question is why was The Perfect Picture nominated if the movie was from 2010-2011??? If the wards is for 2013, why then should movies from 2010-2011 be part of the categories??? Who dey run Derele for here o? Mr Joe, this one na pure beef. I was on the Redcarpet and the guy was working on instructions. Plus after all he just went through, he still gave a stellar performance. I didn’t quite like the bit where he kept changin his jackets but then, it made for good TV. Wish you were in his shoes abi? Eeya. @Meredith please dont get me wrong ok,he did a great job yes,but u were on the red carpet did you see all that was captured on camera. if you have a chance to watch the replay of this award you will know what am talking about,am a Cameroonian and i was watching live and i have watched the retro two good times ok. Totally agree with you as regards Derenle. Kai that mix up with Funmi Holder / Rita Dominic was soooo wrong and belittling for Funmi. He needs to tone it down just a bit and improve on his interviews. thanks @HotinAbj am happy you also saw what happened that was just so belittling Fumi Holda he has to be calm and more focused he was just so excited,we all were excited for this award but as a personality on the red carpet doing interviews he has to be calm and stay so focus.